Richmond – After multiple savage dog attacks, including the death of a 91-year-old woman in Virginia Beach, state lawmakers are changing the rules on adopting pets. In May 2017, Margaret Colvin was mauled to death by a dog her daughter had adopted from Forever Home Rescue in Virginia Beach. A $5 million lawsuit has now been filed by Colvin’s family claiming rescue workers never mentioned the dog had previously bitten at least one person. Forever Home Rescue isn’t responding to ABC7 requests for an interview. Fairfax resident Barry McCabe sued Fairfax County Animal Shelter in May. He was injured and his dog Kaiser killed after an attack by another dog that McCabe claims the shelter adopted out multiple times despite being aware of the dog’s previous violent behavior. “Our shelter’s adoption policy of full transparency regarding every animal’s behavior and medical history has been in effect for years – it has not changed. 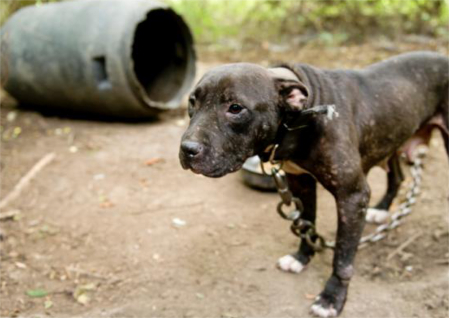 We welcome the new Virginia legislation that will hold all shelters and rescues to that high standard of transparency. The case was dismissed in July but McCabe plans to refile. Both attacks were noticed by the Virginia Animal Control Association and the Virginia Alliance For Animal Shelters. “This was a problem that there were animals leaving shelters with significant bite histories and this information wasn’t being shared,” said Karen Strouse, who’s with both the Virginia Animal Control Association and Virginia Alliance For Animal Shelter. The groups wrote a blueprint for new legislation and state Sen. Bill DeSteph of Virginia Beach helped turn it into state law. Shelters, rescues and law enforcement must document a dog’s bite history when picked up and alert potential pet owners about a dog’s bite history before approving an adoption. The new law, which is a first of its kind in the United States, not only covers dogs but cats too. § 3.2-6509.1. Disclosure of animal bite history; penalties. A. Any custodian of a releasing agency, animal control officer, law-enforcement officer, or humane investigator, upon taking custody of any dog or cat in the course of his official duties, shall ask and document whether, if known, the dog or cat has bitten a person or other animal and the circumstances and date of such bite. Any custodian of a releasing agency, animal control officer, law-enforcement officer, or humane investigator, upon release of a dog or cat for (i) adoption, (ii) return to a rightful owner, or (iii) transfer to another agency, shall disclose, if known, that the dog or cat has bitten a person or other animal and the circumstances and date of such bite. B. Violation of this section is a Class 3 misdemeanor. There is no such ordinance in Washington, D.C., but the Humane Rescue Alliance, one of the city’s oldest animal advocacy groups, says it has a policy to ask and document bite history when an animal is surrendered. In Maryland, a dog owner, excluding law enforcement or government agencies, must notify a new owner of any dangerous behavior. Right now, Virginia’s law is leading the nation in how to deal with animal bite history. “In order to keep that public confidence we have to ensure them transparency and we have due regard to public safety,” Strouse said. If a shelter, rescue group or a law enforcement agency violates the new law in Virginia it’s a 3rd class misdemeanor and a $500 fine. Paid for and authorized by Friends of Bill DeSteph. Not paid for with taxpayer funds. Contributions are not tax deductible and may be subject to campaign finance disclosure laws. Copyright © 2018 Bill DeSteph | All Rights Reserved. Paid for and authorized by Friends of Bill DeSteph. | No taxpayer funds were used.